House training a dog to go outside, or notify you as to when it needs to go out for a potty break can be a tedious task. I'm going to discuss some tips that will make this process easier for you and your dog. It takes time to teach your dog to go potty in the right place, just be consistent and have a lot of patience. When is the Best Time to House Train My Dog? When your dog is still a puppy is the ideal time for potty training a dog, but if you have a dog that is older and was never housebroken, it is still possible. Puppies that are 12 weeks and younger may have a bit of trouble containing their bowels and/or bladder. This can be a problem, but it must be taken into consideration. Young puppies must be confined to places that are not a problem to clean up. Some dogs are submissive eliminators, it may have an elimination problem from the start. Crate kennels, or choose a specific area of the house that is ideal for this confinement for your dog while in training. Potty training must be done in steps. If you are potty training a puppy, patience is a must. Positive reinforcement is the best way to housebreak a dog. You do not want to scare the dog, as this can have an adverse effect on your training. 1. Be sure to have a plan that you can manage. Consistency is very important in any dog training method. 2. Pay attention to the signals that your dog gives. They cannot talk to us, but behaviors can be a form of communication from your dog. Pacing, sniffing, and leaving the room can be silent indicators that your dog needs to go out. 3. If he starts sniffing around looking for a place to poop, talk to your dog & say a cue word like "go potty", so he will know it's time to let go. 4. 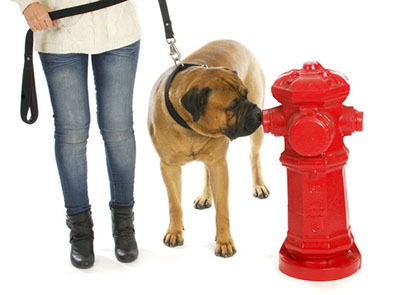 Use a leash and stand by your dog as it is doing his business. This is so you can praise or reward your dog after he has finished his business. 5. Make sure you have a designated area for your dog to go. The smell of themselves having went there before can trigger a bowel movement. 6. Be sure to take your dog outside when he wakes up in the morning, after meals and at least 2 hours before bedtime. 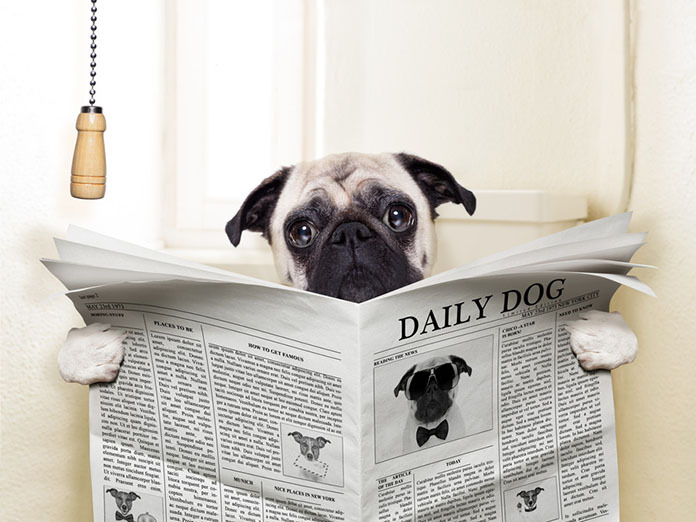 It is very important to keep up a regular schedule, a regular feeding time, and a regular place for your dog to go. Should I Always Reward My Dog with a Treat? "Rewarding your dog is essential to successful house training, but be careful not to spoil the dog. Treats can be a way to spoil the dog and create a behavior of expectation." Dogs should not always be rewarded with treats for dog poop training, although this is contrary to popular belief about dog rewards. Your dog will learn to expect a treat every time it goes out to eliminate. This can also create a habit of the dog giving you ‘false alarms’ in order to get a treat. Positive rewards do not always include treats. An ‘atta boy’ and pat should suffice. Spoiling your dog from the beginning can lead to more problems later. Why Does My Dog Always Poop in the Same Spot? Dogs tend to mark territory and leave their scent. If he has poop on that spot before, he would sniff and find the exact spot the last time he left his deposits. If your dog is permitted to go in certain areas, then they will return to that area, but elimination can happen anywhere. This also depends on the type of dog you have, and the age of your dog. If you have an older dog that has been housebroken, yet has started going in the house again, there are several reasons why this may occur. Incomplete dog poop training is a factor that must be considered. If you trained your dog and stopped the training too early, the dog may regress to eliminating in the house. This can also happen if the dog has been permitted to do so. Urine marking is another reason why dogs might revert back to the old habit of relieving itself in the house. Having your dog spayed or neutered can alleviate this problem. Separation anxiety is another reason for your dog to regress from house training. If your dog only does this when you are away, then he may suffer from separation anxiety. A kennel crate or designated area is the solution to this problem. Your dog will get use to this ‘second home’ and most likely feel safe there eliminating. Illness or Medical issues can lead to inappropriate defecation. It is advisable that you take your dog to a veterinarian if you suspect that he has an underlying medical issue. Medical problems can quickly become a life threatening issue for your dog. Potty training a dog is a process that must be dealt with using patience. The earlier you start to train your dog as a puppy, the better it is for you and your dog. We must keep in mind that dogs under 12 weeks do not have all their facilities when it comes to bladder and bowel control. This is where the patience comes in. Keeping your puppy in a confined area or kennel cage during house training is recommended. 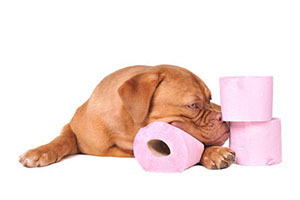 Training dog to poop outside can take several weeks depending on the age of your dog. The training must also be kept up in order to keep your dog from regressing.